My deepest sympathy goes out to the families in Colorado. The killer was an idiot, but if we didn’t have guns he would have found another way to do what he did. He was evil and had his mind made up already. I am not afraid to call evil what it is and history shows they will do what they do with whatever tool they can find. People blow themselves up in the middle east which he may have done the same thing last week. Booby trapping his apartment showed he thought he was going to die anyway. I disagree with Mayor Bloomberg, Attorney General Holder, and those who are using this event in order to get rid of our 2nd amendment rights, and we know who they all are. 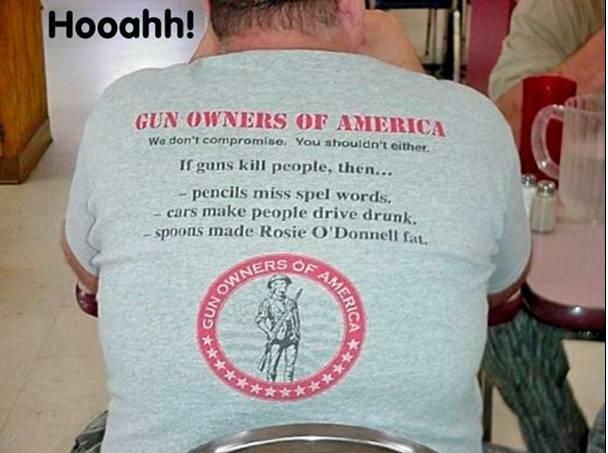 Here are some sentiments from others who agree on the T shirt below. 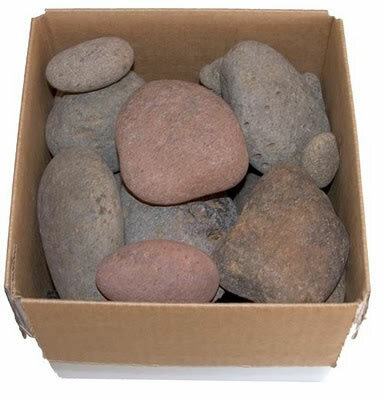 The box is the IQ level of those who think gun control works and would have stopped this madman. Even the UN is trying to take away our right to bear arms. When someone is ill or anxious to avoid illness, he may be open to any possible treatments. That’s why quack remedies, untested formulas and obvious placebos often find takers. When a mass shooting occurs, the urge to find a cure is powerful. As a rule, though, those that emerge are sugar pills. A nation with very few guns, exceedingly tight firearms restrictions and little interest in such weaponry would not experience these atrocities as often as ours does. But in a society with hundreds of millions of guns and huge demand for them, as well as high rates of violent crime of all sorts, the challenge borders on the insurmountable. The tactics of the alleged killer in this case serve gun control supporters as a roadmap to what should be done. He had an AR-15 “assault weapon,” proving we should prohibit these guns. He had a magazine that can hold 100 cartridges, dramatizing the need to restrict magazine capacity. He bought some 6,000 rounds over the Internet, suggesting that the government should outlaw large purchases or monitor anyone who makes them. All these conclusions sound perfectly plausible. And none of them offers any prospect of averting the next massacre. What she and many others don’t realize is that “assault weapons” are functionally indistinguishable from ordinary semi-automatic hunting rifles. They don’t fire more rapidly, they don’t deliver more lethal rounds, and they don’t “spray” bullets. They only look like military arms. The features that disqualified a gun under the federal ban were ones that didn’t affect destructiveness, such as pistol grips and bayonet mounts. If accused killer James Holmes had been prevented from buying this gun, he could have found plenty of others that would have served his purpose just as well. Almost everyone who buys an AR-15 uses it to hunt small game or perforate targets. The number of customers who obtain guns like this only “to kill a lot of people in close combat” is just slightly above zero — a market that would be far too small to induce a company to make them. Holmes reportedly equipped his rifle with a 100-round magazine — compared to the maximum of 10 allowed under the old federal law. But limiting magazine size would most likely be an exercise in futility. The brief interruption a killer needs for reloading is helpful only if someone can seize the moment to subdue him — something more common in movies than in real life. Florida State University criminologist Gary Kleck says he knows of only one mass shooting in which that happened, in 1993. In the 2011 Tucson shooting, the suspect was overcome when his gun jammed after he reloaded. Tracking anyone who makes large ammunition purchases? David Kopel, research director at the free-market Independence Institute in Denver, points out that more than a billion rounds are sold each year in the United States — many of them in bulk by target shooters who burn through hundreds or thousands every month. If the Bureau of Alcohol, Tobacco, Firearms and Explosives were to investigate each of these buyers, it would have little time to do anything else. And it would probably catch no criminals, since they would buy in smaller lots to avoid detection. Besides, most of the rounds that Holmes allegedly bought lay idle. The quantity of ammunition he is said to have used could have been obtained in a few purchases that would set off no alarms. The rest of his fearsome stockpile had no bearing on the outcome. Ideas like these are proposed anytime a mass shooting takes place but lately, at least, never go anywhere. Supporters take that as proof of the vast, unhealthy influence of the National Rifle Association. But it could be Americans just have no appetite for soluti ons that don’t solve. How well did that work out for those countries? 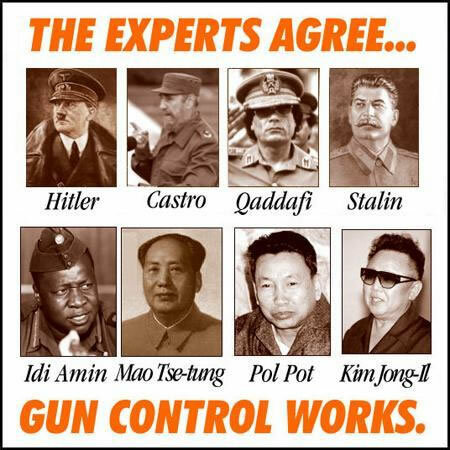 Bad guys have guns and if we take them away from those who are responsible and will defend others, the bad guys have already won. History has proven that.